Understanding vehicle and crowd movement and behavior is becoming increasingly important as public and private institutions attempt to make efficient use of their infrastructure via traffic and crowd management. Fahim is a solution that attempts to leverage the ubiquity of personal mobile devices for understanding traffic and crowd behavior, logistical tracking and monitoring environmental changes. 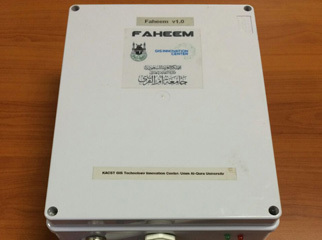 Fahim is composed of a hardware layer and software layer. 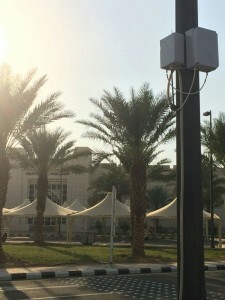 The hardware layer is a modular infrastructure platform that collects anonymous data from mobile device connectivity radios such as WiFi and Bluetooth, objects tagged with Bluetooth Low Energy beacons, and any environmental or custom sensors attached to the platform. This enables the platform to gather traffic behavior without requiring any special hardware in the vehicles or crowds under study. The software layer consists of advanced data analytics to clean noisy data, understand and predict traffic and mobility patterns, and provide visualization.